Greece shook global markets, intensifying fears of a default, as tens of thousands of demonstrators protested a new round of budget-cutting plans and its prime minister offered to step down to try to preserve them. Protests across the capital sometimes turned violent as Prime Minister George Papandreou sought an agreement with opposition parties on austerity measures demanded as the price of a new bailout by euro-zone nations and the International Monetary Fund…. …Mr. Papandreou’s Socialist party has a Parliament majority of just four…. The vote is likely to herald a further bout of intense uncertainty in financial markets already rattled by disagreements among the 17 nations that use the euro over terms of a new rescue package. Investors pulled out en masse Wednesday from riskier financial assets. Yields on Greek government bonds leapt to new highs, with two-year paper yielding 29%. … Greece’s debt-to-GDP ratio still tops 150%, and despite touting its efforts at austerity, government expenditures are up 3.6% year-on-year, to 21 billion. Its revenues for the first four months of 2011 were down 9.1% from the previous year….In 2009 Greeks produced $34.2 worth of goods and services per hour worked, according to OECD data—compared to $53.1 in Germany and $56.8 in the United States. The productivity crisis is linked, in turn, to the huge proportion of Greeks employed by the state—fully a third of the workforce, by some estimates, and civil servants are unionized, often militant and politically influential…. …The IMF, also known as the “Fund,” was conceived at a United Nations conference convened in Bretton Woods, New Hampshire, United States, in July 1944. The 44 governments represented at that conference sought to build a framework for economic cooperation that would avoid a repetition of the vicious circle of competitive devaluations that had contributed to the Great Depression of the 1930s….The IMF’s primary purpose is to ensure the stability of the international monetary system—the system of exchange rates and international payments that enables countries (and their citizens) to transact with one other…. Now, your first question is probably, what does Greece’s excessive spending problems have to do with “exchange rates and international payments?” The answer is nothing. Greece is one the European Unions’ 27 member nations and one of 17 EU nations which have adopted the Euro. And, there are other nations in the EU besides Greece that have similarly disastrous fiscal policies, including Ireland, Portugal, Spain and Italy. These and other EU nations have far too willingly used socialist economic policies that have resulted in massive government spending and debts. As you can see from this chart, Europe faces a real and substantial debt crisis. The data is sorted by the amount of public debt as a percentage of Gross Domestic Product. As a measuring stick, you should note that for the period ending FY 9/30/08, over 232 years since America’s founding, our debt as percentage of GDP was around 40%. Unfortunately for America, the Obama Administration has outrageously increased our public debt to $9.748 trillionin less than 3 fiscal years. This is a whopping $3.930 trillion increase, or a 68% increase in three years. And so today, our debt to GDP ratio is about 65%. Since World War II, many of the EU members have accumulated so much debt that it is questionable if their economies are viable. As we noted above, Greece’s total debt is over 150% of GDP. For perspective, if the US publicly held debt (currently around $9.748 trillion) was 150% of GDP (currently around $14.343 trillion) our public debt would amount to $21.5145 trillion. If long term interest rates rose to 7%, it would take about $1.50 trillion of our tax revenue just to pay the annual interest expense. And this would be about 50% of 2008 federal revenue. If more than one of these misbehaving nations fails simultaneously, the burden of subsidizing their indebtedness falls upon the fewer remaining well-behaved EU nations. And then more and more Germans will start asking themselves why they should assume the burden of defaulters like Greece. Suppose Italy starts to wobble and needs a bailout? How much of their debt could Germany and/or France pick-up to save to save them? For Germany to increase its debt to 100% of GDP, it would require an increase of $557 billion. For France, it would require $473 billion. So, if France and Germany are the strongest EU nations, together they could absorb another $1.030 trillion of debt of defaulters at which point they would both have public debt to GDP rations of 100%. Why should they do this? What EU nation wants to make itself like Greece so the Greeks can survive their own mistakes? If Germany and France won’t go to the wall, maybe their collective capacity is only $500 billion. But, if Germany and France won’t step up, how are the liberal elites of Europe going to hold the Euro together? Uncertainty breeds more uncertainty. And just the possibility of defaults could result in a falling Euro. If the Euro depreciates in value because of multiple defaults, one of liberalisms’ greatest achievements, the joining of 17 sovereign and independent nations into the European Economic Community with its single currency, the Euro, could become subject to its own self-destruction. Within this body, each member state controls its own individual government but local democracy is increasingly being supplanted by the EU government and its economic policies. There is very little responsiveness to the citizens of the individual member states. In a sense, these nations created and imposed upon themselves their own federal government. And here again, we see that liberalism’s primary attack on representative government is excessive deficit spending. Therefore, this is not just about Greece. Now everything is about saving the Euro currency from collapsing. And, liberalism must control that artificially created monetary union and supra-nation state, the European Economic Community, from spinning out of control. Otherwise, they take a huge step backward from their goal of increasingly centralized international control over individual nations. So, how does the International Monetary Fund get involved in all of this? Members of the IMF provide its resources by the payments of quotas, i.e.-money. Here is a historic summary of the quotas from 1978 to 2011. Of the total of $59,048,532,000, Greece has $26,432,900,000 or 44.7%. The remaining nations numbering 17 have clearly non-outsized positions. Greece is also clearly an outsized and very recent intrusion as of May of 2009. In this facility, total resources are $45,545,800,000 of which Ireland has $19,465,000,000 and Portugal has $23,742,000,000. These together equal $43,207,000,000 or 99% of all the Extended Agreement funds. As a result, the more historically typical borrowers amount to only 1% of the total Extended Agreement funds. The total resources here are $70,328,000,000. None of the three beneficiary nations, Colombia, Mexico or Poland, have withdrawn any of the available funds. Only Poland is an EU member nation, and the IMF commitment to Poland is $19,166,000,000. So, having searched this data, we clearly discover that the new invaders of the IMF resources are the four EU nations of Greece, Portugal, Ireland and Poland. The total commitments to these four EU nations are $88,306,700,000 or 38% of all IMF members’ quotas of $237,622,000,000. This data makes it absolutely clear that sometime in 2009 or 2010, the IMF, without consulting American taxpayers, became the rescue agency for the European nations that currently cannot or will not pay off enough of their national debt to remain viable economies. Since the 1944 founding of the IMF, the fiscal conditions of these so-called modern Western nations has continually deteriorated in spite of the great post-World War II prosperity and America’s help in rebuilding them. Their expenditures as a percentage of their GDPs all reflect very liberal policies of government spending as a percentage of GDP that result in crippling ratios of public debt to GDP. Without the cover of the European Union, most of these nations would have gone broke as a cumulative result of their liberal policies. …The tab for last year’s EU-IMF bailout came to 110 billion ($160 billion), and the number now being floated for an additional emergency loan is 45 billion. Yesterday, the European Central Bank’s Nout Wellink called for doubling the size of the European bailout fund to 1.5 trillion, or $2.15 trillion…. …The IMF is providing 30 billion of the 110 billion facility, with the balance provided by euro-zone countries…. From this data, the IMF’s contribution rate is around 27.3% of the total bailout. So, under Mr. Wellink’s call for a $2.5 trillion bailout fund, the IMF’s share could be over $681,818,000,000. As we saw earlier, the 2011 IMF quota is $376 billion. And the 2011 IMF Quota level does not even include the$600 billion in additional pledges pending from IMF members. With over $976 billion in quotas and pledges, will there be any end to this? Now do you know anybody who voted for this? If California attempts to get the federal government to bailout California with money from the other states that have prudently handled their fiscal affairs, you can be sure there is going to be a real political dogfight to stop this from happening. On the other hand, if the hapless and fiscally irresponsible Greeks need $195 billion in bailout funds, the IMF will happily contribute its 27.3% share or about $53 billion. And no voter in the U.S. will have anything to say about it. 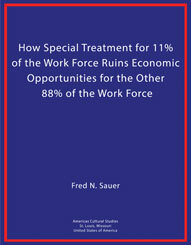 For the United States’ IMF quota is 17.75%. As you can see, America’s quota is the largest at 17.75%. No surprise there. To see how the burden of these quotas are distributed, we need another chart. Quotas are reviewed every five years and can be increased when deemed necessary by the Board of Governors…. It is utterly incomprehensible that failing European nations can impose taxes on American taxpayers, just by having the Board of Governors of the IMF agree to increase the total quota for all member nations. 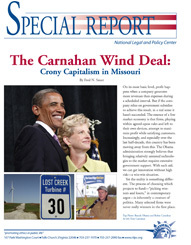 Only the liberal elites could dream up such an extraordinary power grab. And you only have to count down about 21 nations to Sweden to have included all nations who contribute more than 1% each. And of these 21 nations, 8 are Euro nations who already have to guarantee 2/3 of the bailout. Is this a real house of cards or what? And of course, the world’s most successful market economy, the United States, will be the ultimate guarantor of all these liberal statist governments. The history of the Euro nations tells you exactly where America is headed. The Obama Administration is spending America broke with annual deficits that in one term of office will increase our publicly held debt from $5.8 trillion to $11.8 trillion. This will double America’s debt to GDP ratio will double from 40% to 80%. 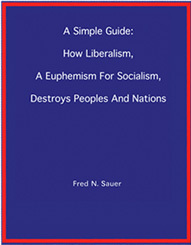 In another complete perversity, Obama’s socialist forefathers, who prescribed and implemented liberalism’s economic theory in Western Europe, had the foresight to provide a rescue facility for the new Europe. They would use the administrative procedures of the IMF to seize more and more money from the remaining market-based economies to subsidize those nations failing from liberalism’s excessive spending. All the IMF elites need to do to get more American taxpayer money is to “have a broad meeting.” But Greece is just the tip of the iceberg. Are there other EU nations that also might need to procure bailout funds? The instability of this situation will increase as interest rates rise in the future. This data is really very ugly. The healthy nations with Public Debt to GDP ratios of less than 55% consist of the much smaller nations who have immaterial capacity to participate in a bailout. Finland and the 12 nations below it have a cumulate GDP of $1.671 trillion, or about 12% of GDP of all the EU nations. The currently identified sick nations, Greece, Ireland, Portugal and Spain, have a composite GDP of $2.147 trillion. The supposedly healthy large nations, Germany and France, have a combined GDP of $5.897 trillion, or 42% of all EU GDP. The sick nations’ GDP is 36%. No matter how you look at it, there is not a lot of excess borrowing ability in the Euro Community to make many more undertakings of bailout packages. That is, unless the remaining healthy nations, Germany and France, want to become sick nations with Public Debt to GDP of greater than 100%. And why would the German or French people want to do that? As you can see from the chart above, Italy, yes Italy, is that elephant in the room that nobody is talking about. If Italy hiccups, the Euro is in real trouble. In taking a look at the collective relevant data, the weakness of the “house of cards” becomes very apparent. The only meaningful other contributor is the United States. So, every time another little shock occurs, such as Spain not recording all their public debts, you can be sure that the IMF Board of Governors will have another meeting to increase the membership quotas. But, since everyone else’s meaningful contribution is negligible, the burden will fall on the American taxpayer who have absolutely no way to vote against it. How clever, liberalism always tries to rescue its own future with the resources of market economies they are currently seeking to destroy. 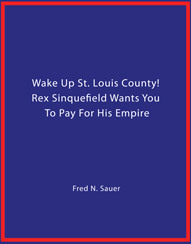 -Fred N. Sauer is an American patriot, St. Louis resident, and businessman whose blog can be found atwww.fredsauermatrix.com. 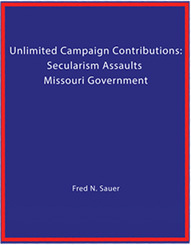 You can also buy his book at www.americasculturalstudies.com.